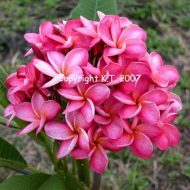 The plumeria variety is known to be difficult to root, and was therefore grafted to increase survivability. 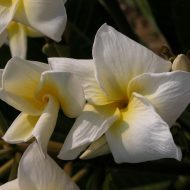 The bottom part of the graft is typically a vigorous type of common white plumeria seedling with a dense and fibrous root system. 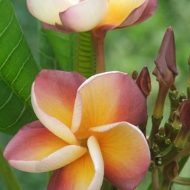 The top (grafted) part is the plumeria variety that you want to have. 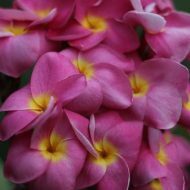 Grafting is an alternative to rooting a cutting, and is a rapid way to increase the growth and the chances of cutting survival. 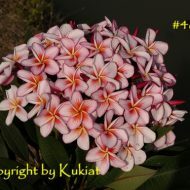 A graft becomes part of the seedling onto which it has been joined and literally takes over to become the main tree! 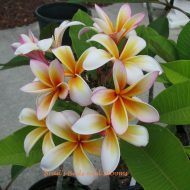 Have you ever seen an orange, grapefruit, or apple tree? 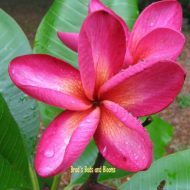 Almost all fruit trees are grafted because the rootstock–the bottom part— is typically an easy and trouble free grower. Therefore the more desirable top part can attach better and join it forever. 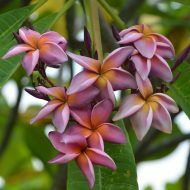 In fact, the part of the orange tree you see in any grove, and would think of as being the actual tree has been grafted onto a sour orange rootstock that you will never even notice. 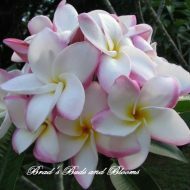 One very positive note about grafted plumerias is that they can bloom true to variety the first season. 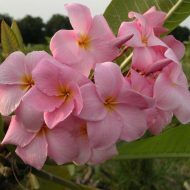 Cuttings, are slow to root, and, can take a while to “get their bearings” and bloom as they should. 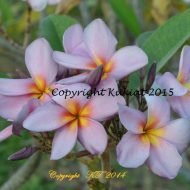 Cuttings will often wait until the second year to bloom true. 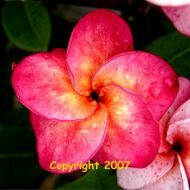 I have seen grafted plumeria trees 10 feet tall in South Florida. The scar will eventually become unnoticeable. 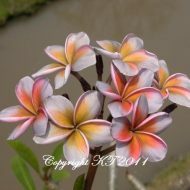 The flowers will be true because the top part is the plumeria you want to have. 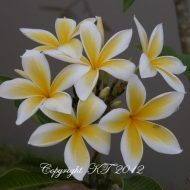 If you cut it off, then the bottom will start to grow little branches and then you will have a plain, white plumeria. You can cut the graft off and try to root it if you want to, but why? 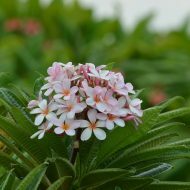 You already have a healthy tree, so enjoy it.